1969 Album Features "The Night They Drove Old Dixie Down" & "Up On Cripple Creek!" Rolling Stone 500 Greatest Albums of All Time - Rated 45/500! Rolling Stone 500 Greatest Songs of All Time - "The Night They Drove Old Dixie Down" - Rated 249/500! The Band's first album, Music From Big Pink, seemed to come out of nowhere, with its ramshackle musical blend and songs of rural tragedy. 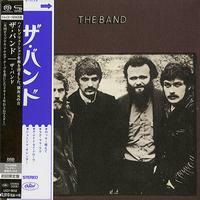 The Band, the group's second album, released in September 1969, was a more deliberate and even more accomplished effort, partially because the players had become a more cohesive unit and partially because guitarist Robbie Robertson had taken over the songwriting, writing or co-writing all 12 songs. • Carefully selected master audio is used, from existing DSD files to newly converted from analog tapes.